Noida: The Noida-Greater Noida Metro track connecting the twin cities with the NCR is 70% complete. This was conveyed to Uttar Pradesh chief secretary Rahul Bhatnagar during his review of the under-construction 29.7-km Metro corridor between Noida and Greater Noida in Delhi on Monday. The Metro is expected to become operational by December 2017, three months ahead of the schedule. 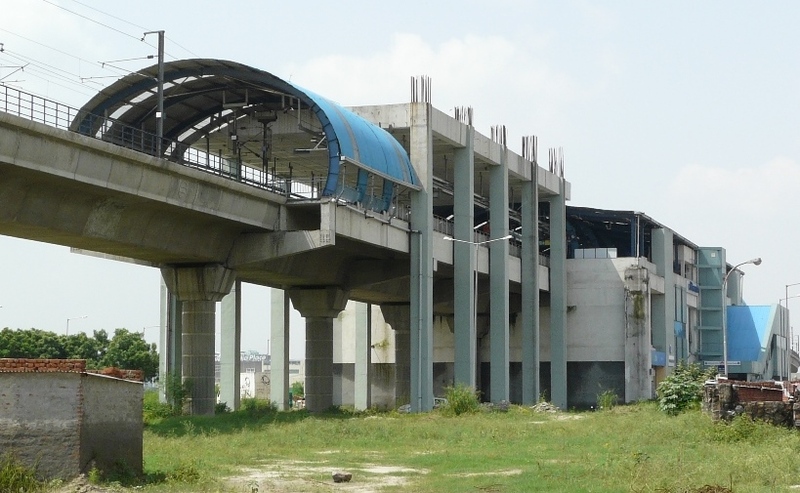 Bhatnagar, who is also the chairperson of Noida Metro Rail Corporation, reviewed the progress of construction on the track in the presence of senior officials at UP Sadan in Delhi. According to DMRC officials, the viaduct for 19 km of the track is already in place. The first trial run of the corridor will be held in Greater Noida. “The chief secretary is satisfied with the progress of the track,” said Santosh Yadav, MD, NMRC. “We have requested that a few road blocks still being faced by the project be ironed out,” he said. Yadav further said that the chief secretary has been apprised about the reimbursement of Rs 307 crore value added tax (VAT) collected by the UP sales tax department for the execution of the 29.7-km Noida-Greater Noida Metro track.